Between the beginning of January 2018 and the end of the year, Bitcoin has slumped from its historical high of $19,500 to the current low of $3,740.98. This is presenting a rare opportunity for yet-to-be investors to buy BTC. Investors are now looking forward to 2019 particularly to see whether the sell-off cycle that the Bitcoin Cash wars elicited on Bitcoin and the entire market would hold. Nonetheless, BTC is poised to make a comeback and surge from its market cap of $65,301,348,409 on January 1st. This will be triggered by expected events in the first half of 2019. Bakkt is a Digital Assets exchange and a liquidity provider. It is operated by ICE, a New York Stock Exchange subsidiary. This platform is planning to launch a Bitcoin Futures market in the first quarter of 2018. 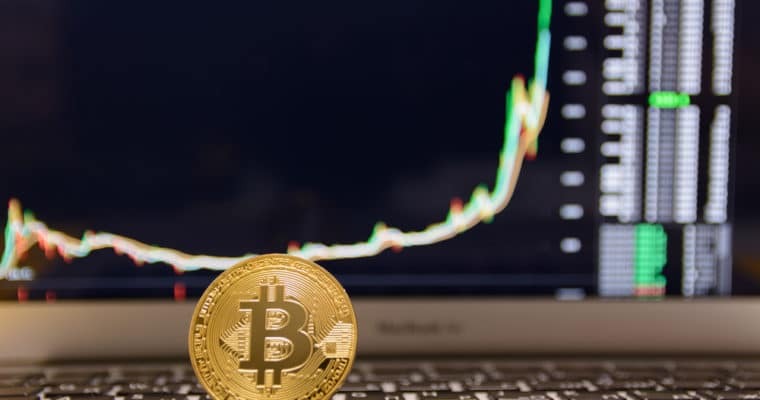 According to Jake Chervinsky, an attorney for enforcement defense and securities litigation, the event would enable Bitcoin investors to buy BTC on physical settlements. This would, in turn, guarantee the timely delivery of Bitcoin Tokens to investors after options market purchases. This is different from the CBOE and CME futures operations that were launched in 2017 which offer strict cash-settled Bitcoin futures. In these arrangements, buyers often get their BTC after a long period of waiting which has a minimal to no impact on short-term BTC price trends. Therefore, Bakkt Futures would have a positive impact on the price of BTC as it would increase the total Token purchases by triggering increased demand from buyers. It is difficult to predict with certainty the possible impact of Bakkt BTC Futures on BTC price. This is because the launch has been postponed for a number of times which some experts are fearing to have disillusioned some BTC investors leading to low expression of interest. Further, there are more selloffs in the markets, a factor that Bakkt BTC futures may fail to turn around. However, this is a step in the right direction for the long run as it would be a catalyst for alluring institutional investors. In the course of 2019, therefore, Bakkt futures would definitely lead to either BTC price stability or gains. In addition to the Bakkt Futures, Nasdaq will also be offering BTC Futures. This event is set to coincide with the US SEC approval of the VanEck-SolidX Bitcoin exchange-traded fund (ETF) filing. If the ETF request is granted, it would be a lot easier for institutional and risk-averse investors to participate in BTC trading- a factor that would turn the tide for Bitcoin in 2019 by triggering increased demand. Despite the slump, BTC has had a great 2018 because of increased interest from the public that has led to more adoptions. Therefore, regardless of whether the ETF will be approved or not, Bitcoin would continue having a greater year riding on opportunities from Bakkt and Nasdaq Futures markets. The end is that price would surge and recover by a margin that is yet to be seen. Meanwhile, experts’ data show that BTC prices self-correct after 62 weeks on average. Going by this historical forecast, BTC will technically recover on Q2 2019 and the Futures and ETF would only fuel the momentum.